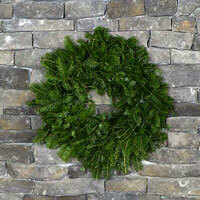 Our traditional wreath is handcrafted with fresh Vermont Balsam and measures 22"-24". It is adorned with pinecones and red berries and finished off with a six loop bow in a red, burgundy or white. Bring a touch of country coziness to your home this holiday season! 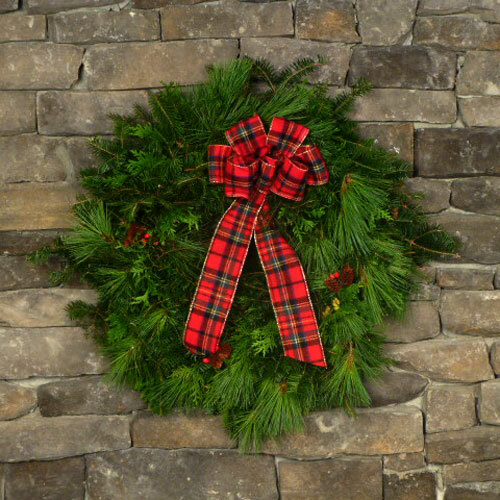 A charming soft jointed moose ornament makes his home atop our fragrant Vermont balsam wreath measuring 22"-24". The Mountain Lodge Wreath is further adorned with berried pinecones and a six loop brushed buffalo plaid bow. Let us dazzle you with the splendor and sparkle of gold this holiday season! 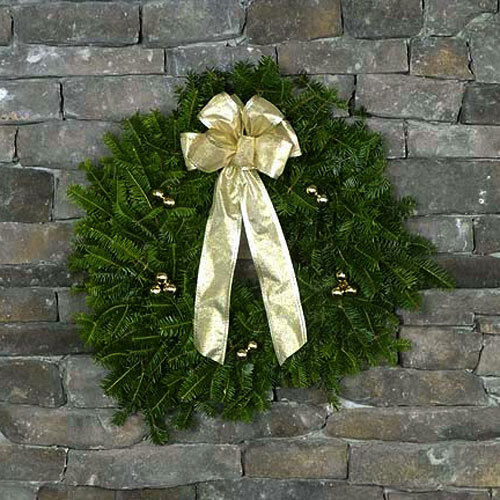 We start with our traditional fragrant Vermont balsam wreath measuring 22"-24". Bring it to life with gold balls and crown it with a six loop antique gold bow. 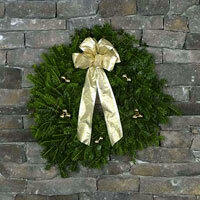 This wreath is surely a celebration of the holiday season and will welcome all with tidings of joy. 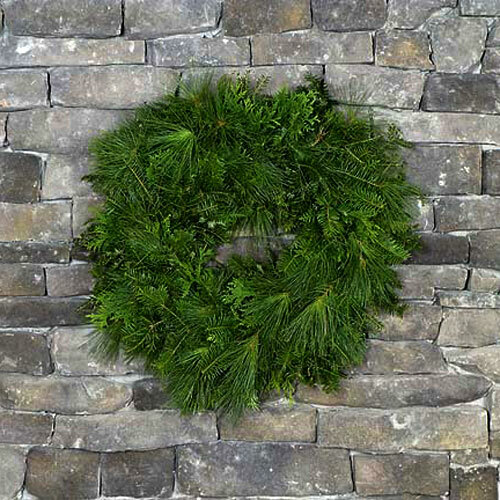 It is handcrafted with fresh Vermont balsam, pine, spruce, and cedar. 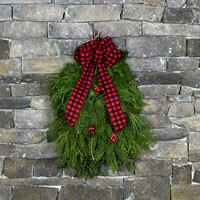 This handsome mixed green wreath is adorned with berried pinecones and trimmed with a brushed scotch plaid bow. 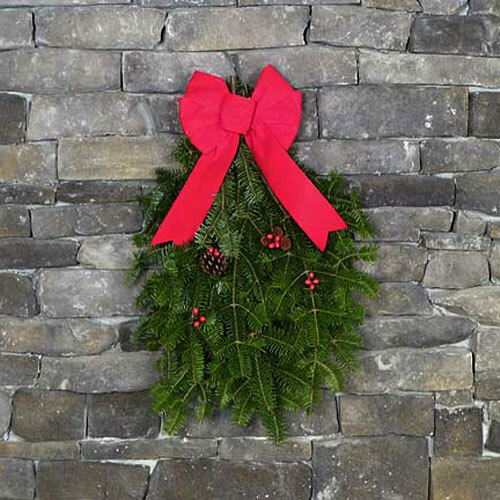 Deck the halls with our holiday swag. The Vermont Wreath Company offers this swag in a mixed green of fresh Vermont balsam, spruce, pine and cedar. 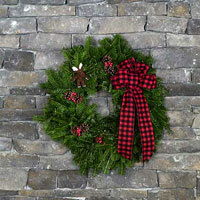 Decorated with a buffalo plaid bow and adorned with a sprinkling of red berries. 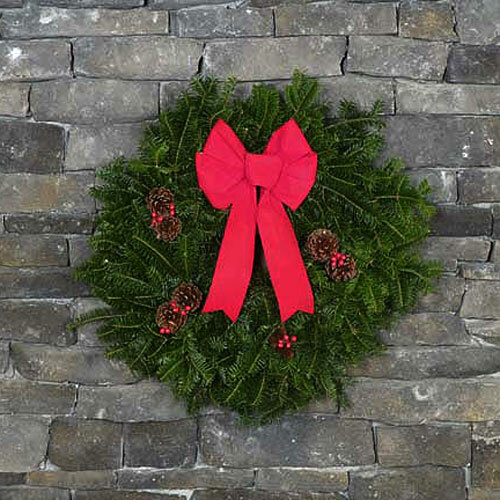 Bring in the warmth of the holiday season with a balsam swag made with fresh Vermont balsam and adorned with a red velvet bow and a cascade of red berries. 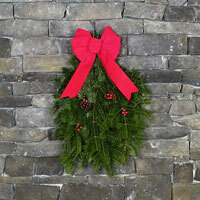 Hang on a lamp post, above a mantle or decorate your fence. The Vermont Wreath Company offers a fresh Vermont balsam wreath for you to decorate or a mixed green wreath of balsam, pine, spruce and cedar. Both are handcrafted and made for you to decorate with your sense of style and tradition. Happy Holidays!! A mix of balsam, pine, spruce and cedar measuring 22"-24" made for you to decorate with your sense of style and tradition. We will contact you as soon as we get your order to confirm the amount you will be charged.